VPG’s DEFCON, a durable cut-resistant cable solution, has been used around the world by companies that need a little extra protection and piece of mind. 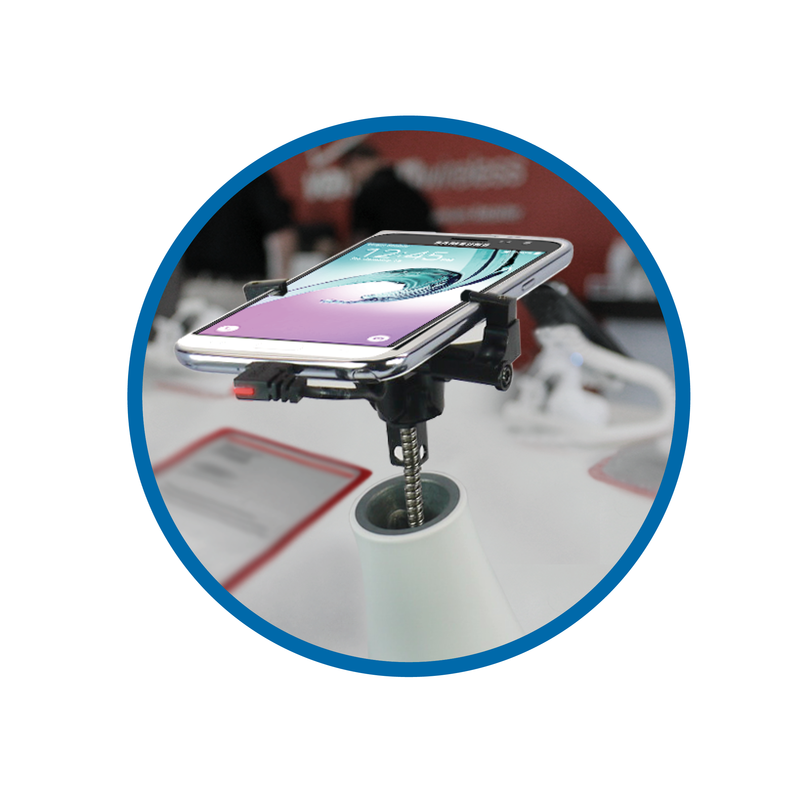 It can provide extra security to the existing Core, D-Sensor, and G5 solutions that you have in your store by simply replacing the tethering cord. VPG’s DEFCON cord is one of the most durable tethering systems you’ll find in the industry. Whether you’ve already discovered the wonders of the DEFCON or are recently uncovering all of its benefits, a need-to-know feature is the solution’s lockdown capability. When combining the DEFCON with the D-Sensor or G5, use a locking nut to give yourself more control over how far the product can be lifted from the pedestal. It’s easy to boost security even without the help of the DEFCON with VPG’s brackets and retainer clips. Adding these supplements to your existing solutions give your store an extra helping hand in the loss prevention department. From the DEFCON to additional brackets and clips, VPG has an assortment of high security options for your store. Talk to one of our loss prevention specialists to find out which add-ons will work with your existing solutions.